Happy October 26th! We continue Halloween week with another true ghost story from E. Ayers! This is a good one and I hope you all enjoy it as much as I did. 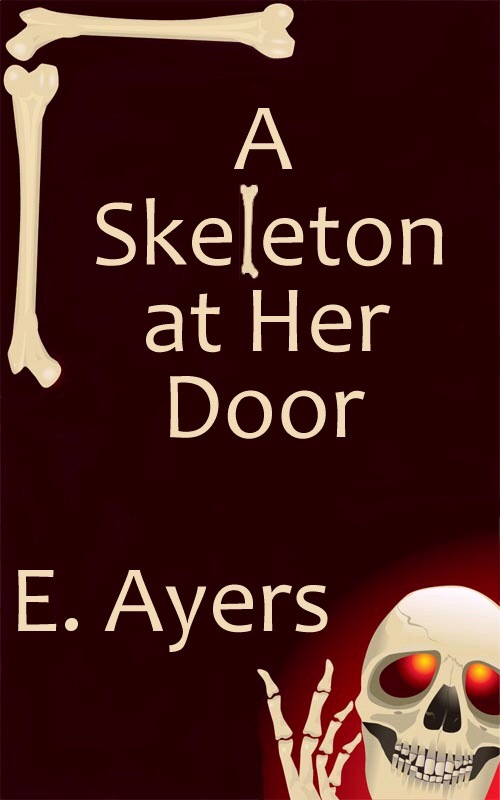 After the ghost story E tells us about her latest release A Skeleton At Her Door. It sounds like a great read for Halloween week and I can tell you it is cued up on my kindle as we speak! It’s also on sale this week!! Hi, thanks for inviting me to be on your blog and giving me a chance to meet your blog readers. Waving hello to everyone! It’s October and it’s my favorite time of the year. I love the fall colors! Okay, I also love the winter colors and the spring colors and the summer colors, but there’s something about the autumn that is extra special. And we polish it all off with Halloween. Don’t laugh, I love decorating with pumpkins but I dislike jack o’ lanterns when decorating. Maybe it’s the waste factor? I can keep a pumpkin and then scoop it out for pumpkin pie, but not if it’s been carved. When my girls were little I used to decorate for Halloween, but not anymore. I just decorate for fall. 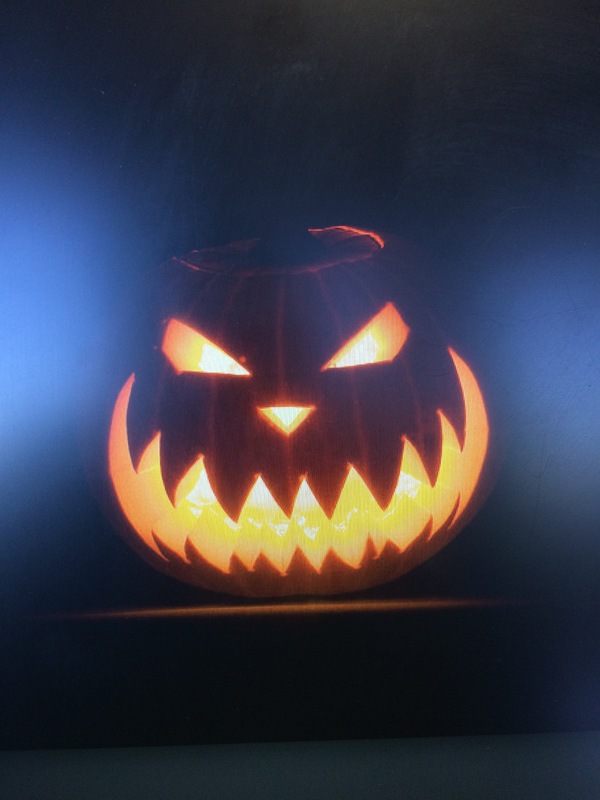 There’s something a little too spooky about Halloween! If someone had asked me a few years ago about real ghosts, I would have laughed at them. Then I moved into this old house. Well, let me back up. Before moving here, we bought a house that had been on the market for years. The owner had died and no one would buy the house. After we had bought it, I discovered that the owner’s daughter had been shot and killed by an abusive boyfriend in the house. We hadn’t been in it very long when I’d hear what sounded like someone running across the roof of the house. I still think it was a squirrel wearing combat boots! But I mentioned it to my neighbor and asked if she’d ever seen a squirrel or any animal on my roof. My neighbor then told me about the young woman’s death. She said her father often heard her running through the house. Okay, wild imagination, and I still think it was a squirrel. But then I moved here. I’ve known folks who live in really old houses and they often tell of ghostly things. But to me, there is a reason for noises. Ghosts are not real – until I ran into them and was forced to change my mind. We hadn’t lived here long when I’d walk into my darkened bedroom and it was as though a cloud over the bed moved. Granted, I’m tired and the play of light coming through the window… Logical explanation, eyes play tricks on us. Except, I kept losing things. My husband got more than a little upset with me on a few occasions. And every time he did, it seemed I’d lose more stuff. But when I lost my keys, it really escalated. Probably everyone has put keys down and forgotten where they have left them, but when my girls were little, I found a jailor’s ring key chain. I loved it! I could slip it over my wrist and wear it like a bracelet when I was out and when I had returned home I would put it on the doorknob. I was totally obsessive-compulsive with my keys. Losing them was a big deal! Not only had I lost the keys to the house, but I’d lost my key to my car and the one to my husband’s. In this day, car keys are very expensive because they either contain chips or they have that electronic fob with them. My husband’s had a chip and mine had a fob that opened my car doors, etc. Hubby finally helped me look for them, after he blew off a little steam over my being careless, scatterbrained, etc. Then all sorts of things began to happen. Oh, come on. Who loses the basket in the coffeepot? Out of desperation, I asked him to get into the car and we drove to a nearby shopping center where I tried to explain to him that every time he got upset with me, even when he wasn’t really upset and just voicing his frustration, more things vanished. When he thought about it, he realized I was right. We moved bookcases, etc. in an attempt to find the keys. They were gone! Determined that they would show up, we avoided buying new keys for the cars. Then one night while sitting in the keeping room eating dinner, we discussed the fact that they had been gone for almost six months and still had not reappeared. They needed to be replaced. I was going to call the locksmith in the morning and have them made. I knew the combination would probably run close to two hundred dollars, but living without a second set of keys to the cars was probably dangerous. My husband agreed. It was a chunk of money from a budget that couldn’t afford it. Suddenly, the idea of a ghost was no longer funny. My husband looked at the keys and asked where I found them. I told him I hadn’t. I was just washing the dishes and heard them. I’m not sure he believed me. Shortly after that incident, I heard a strange noise as I cleared the keeping room’s dining table one night. I stopped and looked across the foyer to the living room. He didn’t respond. I shook my head, put the dirty dishes into the sink, washed my hands, and went to investigate. I didn’t see all of my husband, only part of his arm and shoulder. Enough to recognize that horrid old wool shirt that I swore I ditched years ago. Nor could I understand why he’d wear it when it wasn’t that cold. A few moments of conversation and we both went downstairs to check the cabinet. Yes, stuff was missing, starting with the flashlight. But that ugly shirt became my clue as to who my ghost was. Little pieces began to come together. My ghost liked my husband and hated me. I seriously think he tried to run me off. It was always my stuff he stole. And he seemed to enjoy creating problems between my husband and me. But he really enjoyed driving me nuts, and he was doing a good job of it. One morning after my husband had left for work, I went to make a cup of tea and my infuser was missing. We all have our favorite items, so slightly upset I opened the cabinet to get another one and those were missing. I didn’t even have an infuser for a teapot. Gone! Not in another cabinet, or drawer or anyplace that I could find. Not a single one turned up anyplace in the house. After I huffed a few times, I decided I’d had enough of this ghost’s games. I’ll spare your readers the sordid details of this previous man’s life, and leave it with he was quite wealthy but had some issues. But he was the most likely possibility as a ghost in this house as there were several matching pieces of the puzzle that pointed to him. So I did what any normal person would do. I stood in the middle of my living room, called his name, and scolded him with all the skill of the meanest drill sergeant. I told him to return everything he had taken. Then I left. I met my husband after work and we returned to the house together. My infusers were tossed across my stove. Several flashlights reappeared in the living room along with a variety of other things. My husband just shook his head and looked at me. I’m not certain he really believed me, but there was no question in my mind. That ghost lingered until after my husband died, and then vanished. That has left me with one little whirling dervish that seems to giggle, and then vanish into the living room fireplace. I’m really not certain what it is, but the animals in this house watch it. The other day, I realized that I hadn’t seen that giggling, spinning ghost in quite a while. People don’t talk about such things. Non-believers seem to think they are superior, and if we see such things, then there must be something wrong with us. Please believe me, I’d much rather I never encountered that ghost in this house. I wish my keys had not vanished for six months or been returned in such an unexplained way. I wish my tea infusers had remained where I had put them, along with my flashlights, and all the other things that kept vanishing. I only know what happened and what I saw. But for those of us who live in these old houses, ghosts stories are common. So Happy Halloween to those who love the holiday. I love the season but I really don’t want anything to do with the paranormal! I prefer to keep the holiday light-hearted and fun. With our neighborhood free of small children, no one around here even bothers with treats for children, except for a new family that has just moved in and I think those children might be too old to trick or treat. So I’m planning to buy a bag of apples and the kits to candy them. I’ll take that to their door and tell the teens to have fun making candied and caramel apples. Would you believe I wrote a book that involves Halloween? I promise, it’s not spooky and it’s more of autumn story as it goes through November and a little beyond. It’s about a second chance of finding love especially when having been burnt the first time – it’s often hard to trust again. When Tom shows up dressed for a Halloween charity auction at the wrong door, he has no clue his life is about to change. Angie thought the skeleton standing before her was her neighbor until her young daughter informs her that the man in costume is not Matt. Add Tom’s two teens, some Chinese fortune cookies, the willingness to try one more time, and it’s the perfect read for a chilly autumn night. This book has a little sizzle and is not meant for the younger crowd, but it should not be offensive to the average reader. It does contain some adult topics, which includes an ex-wife’s infidelity and a physically abusive ex-husband. Hi, Angela. I have lots of ghost stories. Fortunately my ghosts are rather tame compared to what a few friends in old houses have encountered. The one story just might wind up in a book someday. But for those who think I’m slightly nuts… Please tell me why my animals will watch these apparitions? My animals don’t bark or chase. Silently they will sit and stare. When “it” is gone, then they will go sniff the area/path. Those of us who live with these unusual sightings or occurrences, usually laugh and turn it all into jokes because if we didn’t, people judge us as crazy. “Oh, yes the judge must have been deliberating, because he paced the floors all night. Ha-ha-ha.” But I’ve been in that house and heard the judge pacing. And what makes us think it was the the judge who once lived there? His son often spoke about how his dad would get up at night and pace when presiding over a tough case. That’s quite a story, E! While I’ve never seen a ghost, I’ve had eerie feelings in some homes, mostly older homes. Chill bumps, a cool spot. Just weird feelings that made me want to get out of the house, quick. The one strange thing I encountered was after my granddaughter passed away. My grandson and I were cleaning the flower bed, both grandchildren had planted. I stood to stretch my back and when I did, a white mist swirled and hovered over the flower bed. I wish I could find the photo I took, because it showed up in the photo. It hadn’t rained, so I couldn’t say it was from moisture in the air. I always believed it was my deceased granddaughter. Each time she came over, that flower bed was one of the first places she had to check out. Not scary at all, but true all the same. I haven’t thought of that in a long time. Glad your visitor has gone! One comes and one goes.Movement where there is none sort of thing. But he was the most annoying one! Maybe your granddaughter was there – well, not really her but some part of her energy. I’ve learned that anything is possible. I had one of those rubber masks when I was growing up, but it never fit my tiny face. It must have been bought for one of my brothers when they were older. Awesome blog, E! I love a good ghost story, I’ve lived with a few myself! Thank you so much for stopping, Jan.
I’m sure people are thinking I’ve made it up. No, really, do you think I’d bother to have him steal my tea infusers? Maybe I’d have objects hovering in midair…oh, never mind, I don’t want to give them ideas. Not to worry. Those who think you are making it up have never experienced anything like it. But oh if you could make objects hover in midair that would be awesome!!! No hovering objects! We will leave the levitation to the magicians. The theft was bad enough! I think it is something that people must experience to believe. I certainly didn’t believe in ghosts until I’ve lived with them. I changed my mind real quick!